It’s no coincidence that when you tell someone you have a stomach ache they’ll often tell you to drink some ginger ale. Or that pregnant women dealing with morning sickness are recommended to chew on some ginger candy to rid the nausea. Ginger is a very effective digestive aid. Not only can it help reduce nausea, but if you are experiencing bloating, an upset stomach, or menstrual cramps look to ginger as a natural way to get some relief. Ginger ale is simple to drink but most of the time it doesn’t contain a high concentration of ginger, and the carbonation might not work for some stomachs. Look to ginger candy or eating the root raw (just peel and slice a small portion) if you want a higher concentration of ginger. If you are someone who prefers natural or holistic health aids, then ginger is about to become your best-spice-friend. Studies have shown that it can help to reduce muscle soreness or tension, due to activities like exercise, in the body. It doesn’t matter whether you eat it raw or cooked either — the study where this was found had people eat it both ways and they experienced relief no matter what. 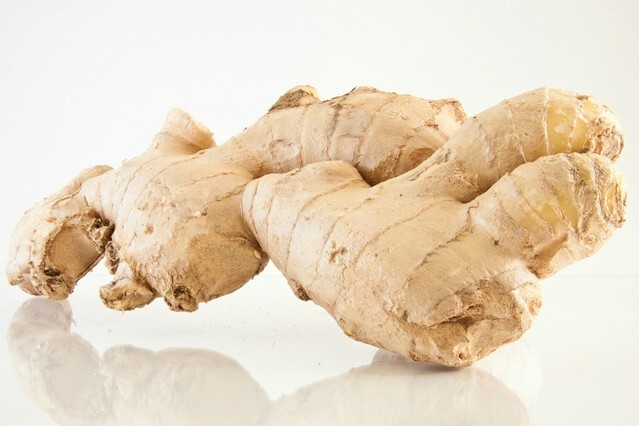 Additionally, ginger root contains “gingerol,” which has been found to be an anti-inflammatory aid. Try some ginger tea if you have a headache or are experiencing joint pain, the gingerol works as a potent, natural way to reduce inflammation in the body. Studies done by health researchers (and also a few at home studies conducted by me, on myself) have shown that ginger helps to clear up your sinuses. 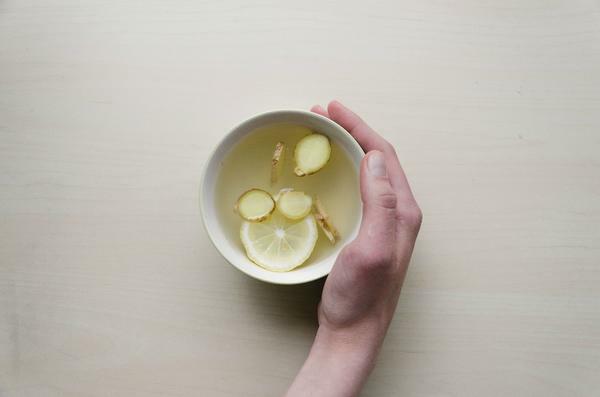 If you have a cold, are congested, or experience allergies try some ginger tea, ginger candy, or sliced raw ginger to help get some air flowing through your nose again. I have really bad allergies, especially this time of year, and find that chewing ginger candies really helps me in this way. Ginger root also has immune system improving qualities. A study published in the Journal of Ethnopharmacology showed that taking 300mg of ginger daily helped to prevent upper respiratory viruses from forming, as well as inhibited the production of mucus and, as previously stated, cleared up congestion. Ginger is a very versatile spice that can be used in many different ways in the kitchen. If you are looking to it purely for health benefits, though, there are certain ways of eating it that are better than others. Fresh ginger can be ingested raw to receive all of the health benefits that it has to offer. You can peel, then chop or slice fresh ginger and just eat it like that. Raw ginger has a very potent, spicy flavor so this might be unpleasant to those that aren’t ginger-obsessed. In that case, don’t be afraid to throw the sliced, fresh ginger into a smoothie. This Ginger Berry Oat smoothie is delicious — the berries help to cool the ginger down, balance out the flavors, and you are getting additional health benefits from the oats. Ginger tea is one of the easiest ways to get ginger in your diet without a lot of fuss. There are plenty of ginger teas out on the market that you can buy (and are yummy). But if you’re feeling adventurous consider making ginger tea yourself from scratch — all you need is fresh ginger, water, and whatever flavor agents you like to put in tea, if there are any at all. Simply peel & chop a small piece of ginger, place in your tea mug, and pour boiling water over it. Let the ginger perfume the water for a few minutes, and then you’ve got fresh ginger tea! Fresh ginger also works with many savory dishes. Peel and slice it finely to find that it compliments any stir fry. The same can be said for soups, but you’ll want to saute it first to soften it up. Now that we’ve covered ways ginger is great for you, and a few “clean” ways to get ginger into your diet, I’d be re-missed not to mention that ginger is delicious in many foods that aren’t for health, but just for regular old “I eat food because it tastes good” reasons. These ginger cookies are touted as the best there is and after having them, I cannot disagree. Fresh ginger puts a spicy, new twist on a classic in this mixed berry ginger crumb cake. It might seem a little odd but in simple fashion to the berry smoothie above, the ginger compliments the fruit in the cake in a way that I found addicting. And cocktail time anybody? They might be a little out of season right now, but Ginger Mojitos are one of my all time favorite drinks, and I think you should make ’em whether it’s 90 degrees outside or not. Speaking of cocktails — you can add ginger ale in place of club soda or soda water in just about any drink recipe to give the drink a nice ginger twist. I do this often and have yet to be disappointed by it’s addition. Are you a fellow ginger lover? What are your favorite ways to eat it?